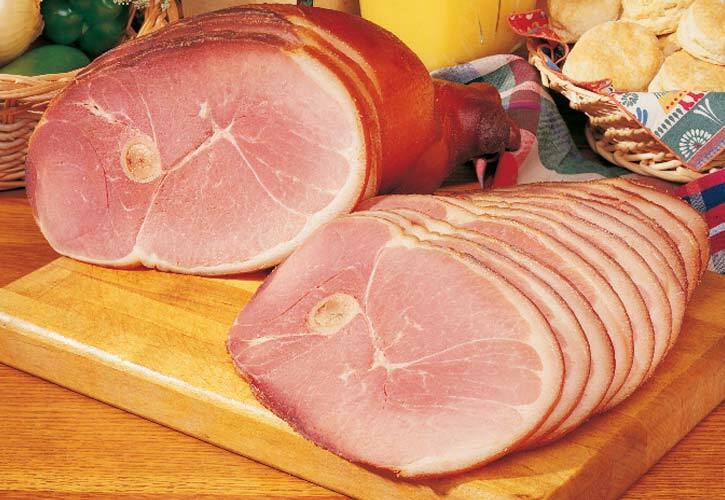 2 lbs Clifty Farm Country Ham Center Slices, 2 lbs Clifty Farm Hickory Smoked Country Sausage, 2-12 oz. 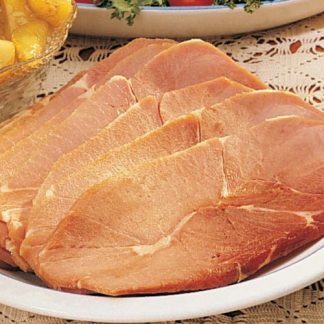 Country Cured Peppered Bacon Slices, 4-6 lbs Clifty Farm Hickory Smoked Turkey Breast – Packaged in a handsome gift basket. Shipping Fee: To preserve freshness, a $34.95 2nd Day Air shipping fee applies for this product when shipping to certain states including: AZ, CA, CO, ID, ME, MN, MT, ND, NE, NM, NV, OR, SD, TX, UT, WA, WY.This product may be shipped separate from other items. Most other products are shipped by UPS Ground Service. Alaska and Hawaii require additional shipping charges and purchasers from those states will be contacted directly with shipping charges.